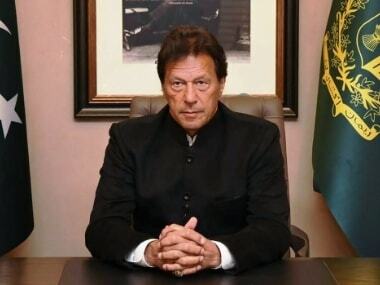 Punjab culture minister Navjot Singh Sidhu, Union minister Harsimrat Kaur Badal and Pakistan prime minister Imran Khan are unlikely to see eye to eye on any particular matter. However, all three leaders, despite their contrasting stance and agendas, agreed on one thing on Wednesday: That Sidhu's popularity in Pakistan soared during his last two controversial visits to the country. 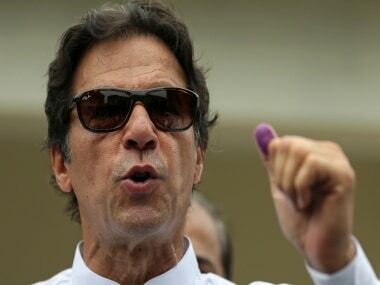 While Harsimrat, who was representing the Government of India at the ground breaking ceremony of Kartarpur Corridor in Pakistan, taunted the Congress leader for his popularity in the 'rival country', Imran said that Sidhu was perhaps the only Indian politician who could easily win an election even in Pakistan. Sidhu himself accepted after his earlier visit in August that the what he got in two days there, he didn’t get in his lifetime here. But as promising as all the love and praise heaped on Sidhu may appear to be, truth remains that Sidhu's political ambitions lie here in India, and not Pakistan. Why then has he brazenly courted controversy when many in his own party remain uncomfortable over his subsequent visits to the neighbouring country? To answer this, it is first important to look at what all Sidhu seems to have lost by tactless praise for Pakistan and Imran. 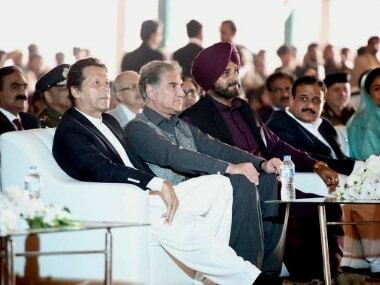 Sidhu not only heaped praise on his 'jigri yaar dildaar' Imran but he also credited the Pakistan prime minister for single-handedly opening the Sikh pilgrimage route. "He has done what we could not achieve in 73 years," Sidhu said. In doing so, Sidhu attracted acerbic reactions from the Opposition in Punjab, and some serious backlash on social media. He also undermined the subsequent Indian government's efforts in opening the pilgrimage route to first Sikh guru, Nanak Dev's final resting place. A 1.5 kilometre safe passage for visa-free entry of Sikh pilgrims was first envisaged in 1999 by then prime minister Atal Bihari Vajpayee. However, it took almost 20 years spanning over the regime of various Indian and Pakistani governments to have reached this point. Furthermore, Sidhu, by appearing alongside a pro-Khalistani Sikh leader in Pakistan, gave the much needed arsenal to the Opposition. Gopal Singh Chawla, who had reportedly stopped Indian officials from visiting a Gurudwara in Lahore to meet Indian Sikh pilgrims, was first seen shaking hands with Pakistan Army Chief General Qamar Javed Bajwa. Soon after, Chawla released a photo on his Facebook page (not a verified account) where he was seen hugging Sidhu. The BJP attacked Sidhu over the picture as party leader Manjinder Singh Sirsa, asked Sidhu whether he cared for India’s sovereignty and Punjab’s peace. Harsimrat, who was observing protocol in Paksitan, lashed out at Sidhu once she reached India. Speaking to ANI, she said, "He (Imran Khan) offered him (Navjot Singh Sidhu) to fight elections from Pakistan. He (Sidhu) seems to have more love and respect in Pakistan than what I noticed over here. He has some good relationships over there." The picture was especially embarrassing for the Congress as Punjab chief minister Captain Amarinder Singh turned down an invitation to attend the event citing Pakistani conspiracy to disturb peace in Punjab. In an interview to India Today on Tuesday, Amarinder said that he had advised Sidhu against the visit and had told him he was taking a stand on Pakistan terror. "Yet he went," he said. "Sidhu gets carried away sometimes," he said. Leaders of the Congress party have decided to stay silent on the issue, except Tripat Bajwa who came out against Sidhu openly after Amarinder's comments. But Sidhu may have decided to go ahead with his 'pro-peace' agenda, in face of all the criticism, seeking to burnish his credentials among the Sikh electorate in Punjab. He already seems to be getting support from unexpected quarters. According to a report in The Indian Express, several radical Sikh outfits have praised Sidhu and even demanded the title of Fakhr-e-Quam from Shiromani Gurdwara Prabhandhak Committee (SGPC) for him. Groups like All India Sikh Students Federation (AISSF) and Dal Khalsa have hailed Sidhu for his 'courage' to leverage his friendship with Imran for the benefit of the nation. The report further said, that internally within the Congress, the mood is not entirely against Sidhu. Many party leaders believe that retrospectively, Sidhu's move will help Congress government claim credit for the Kartarpur Corridor, even if the Shiromani Akali Dal and the BJP may have sidelined them now. Senior Congress leader Shashi Tharoor also came out in support of Sidhu. 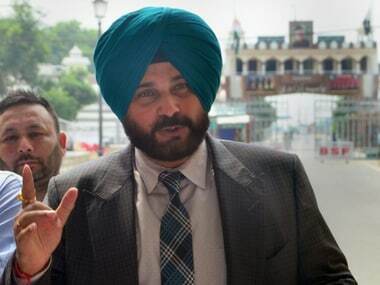 Moreover, some members of the Sikh community from outside India also congratulated Sidhu for his pro-peace approach. Excellent work done by Sidhu and Imran congratulations to the all Sikhs . 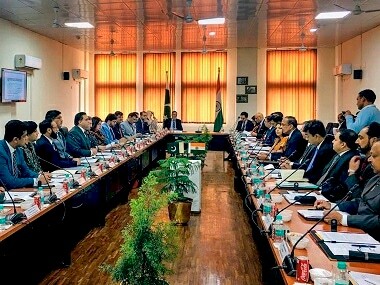 The Indian Express quoted Daljit Singh Khalsa, former General Secretary of Stockton (California state) Gurdwara Sahib as saying, "Sidhu did great work on both religious and Indo- Pak relations fronts which forced the Centre government to take an early decision on this which is directly related to Sikh religion." Sidhu's chief ministerial ambitions have been an open secret ever since he quit BJP and subsequently toyed with the idea of joining Aam Aadmi Party or launching his own outfit before joining Congress. Even at the time of joining Congress, when it became clear that Sidhu's chief ministerial ambitions may have to take a back seat, the cricketer turned politician made a cryptic remark when pestered over his chances of leading the Punjab government. "Gehu khet main, beta pet main aur tum byaah ki taiyari kar rahe ho? (The wheat is in the fields, the child is yet to be born and you are making preparations for the wedding)," he quipped to persisted questions on becoming the chief minister. In contrast, 76-year-old Amarinder had previously hinted that he may not run for another term as chief minister owing to his advancing age. With that in mind, Sidhu might be in the process of making his own brand of politics popular in Punjab.